Another series of Windows tweaks to keep your computer happy. Let’s get dirty. Note : This is second part of two series. Read the first part here. As usual, proceed at your own risks and best to start by backing up your data first. I’m using Windows 7 throughout this post, so adapt accordingly to your Windows version. It’s not that much difference anyway. 1. 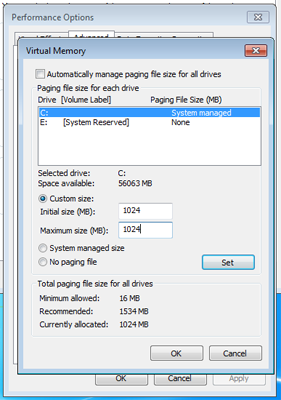 Manually tweak the size of Virtual Memory/Paging File/Swap Space. One of the biggest bottlenecks of your system is virtual memory, where it uses HDD/SSD to simulate additional memory. This permits bigger apps whose require more memory than your computer’s physical RAM to run. Windows manages this automatically by default, increasing the size of virtual memory based on load and reduce it later when no longer needed. Fragmentation will occur due to heavy writing workloads and effectively slowing down the system from time to time. By creating fixed size of paging file, its no longer moving around as much as it used to and give your Windows more room to play. Tips : Just enter the same amount for both initial and maximum size of Virtual Memory settings. Move it to another HDD/SSD if you have multiple drives. Disable it to reduce wear on SSD only if you have more than 8GB of RAM. 1. Click Start > Control Panel > System > Advanced system settings. 2. Under Advanced tab, click Settings on Performance. 3. Click Advanced tab, click Change on Virtual Memory. More than 8GB : You can safely disable virtual memory. If you notice any instability or out of memory (rarely happen with such amount of RAM), use the 4GB preset. 4. Click OK, and restart your Windows. 2. Eliminate unnecessary boot options and debugging information. This is useful if you’re developer or dualbooting between OSes, but for most user this isn’t something we need. When Windows crashed, it dumps whatever left in memory into a logfile so you can review it later. Beside, how often does your Windows crash? Tips : You might want to turn automatic restart in case you don’t want to read the last message of the system crash. 2. Under Advanced tab, click Settings on Startup and Recovery. Default operating system : In case you have more than one operating system managed by Windows Boot Manager, you’ll see it in here. You can choose which one to boot by default. Time to display list of operating systems : If you tick this, you’ll be able to select between OSes to boot or else it will boot into default os after time expired. 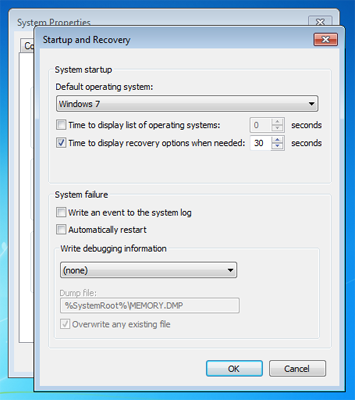 Time to display recovery options when needed : I’d tick this for single OS, just in case when something happened you won’t be bothered to press F8 to enter recovery options. Except for Automatically restart, you can disable the rest just like screenshot above. 4. Click OK to apply, done. 3. Disable System Protection for the best. 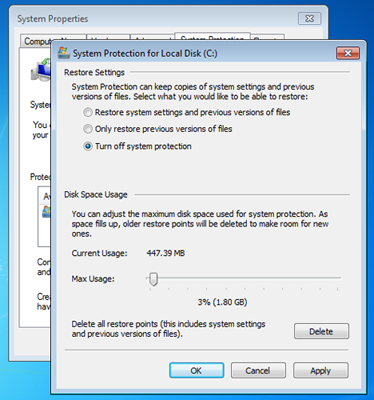 System Protection (or System Restore for XP) regularly tracks changes to the system files so in case you made changes like installing drivers or apps and results in system instability, you can revert back to previous stable state using Restore Point. However, since it use the same space as your Windows, it might eat up those valuable space especially on SSDs. But more importantly, System Protection makes your Windows prone to virus infections since malicious files get scooped up and stored along with Restore Point Data. Due to the way this data is managed, there’s no way for anti-virus to clean this up. Tips : Just backup important files to separate drives using free backup apps like Cobian Backup. And do note keeping your files on separate PARTITION IS NOT A BACKUP. 2. Click System Protection, under Protection Settings you will see available drives with Protection On or Off. 3. Click on Protection On drive, and click Configure. 4. Under Restore Settings, click Turn off system protection, click OK to apply. Done. 4. Prevent Executive System Files from entering Paging File. By default, whenever RAM runs low, Virtual Memory will move some inactive data from RAM to paging file so Windows can complete its work. This includes executive system files like drivers and kernel, so when Windows requests those files back it will slow down the system since its located on storage drives. By preventing executive system files from entering Paging File, we can increase overall system responsiveness with a bit more of RAM usage. Tips : Unless you know what you’re doing, don’t mess around Registry Editor. This also helps minimize wear on SSDs. 1. From Start Menu > Type regedit > You will see Registry Editor, press enter. Yes to run as Administrator. 2. 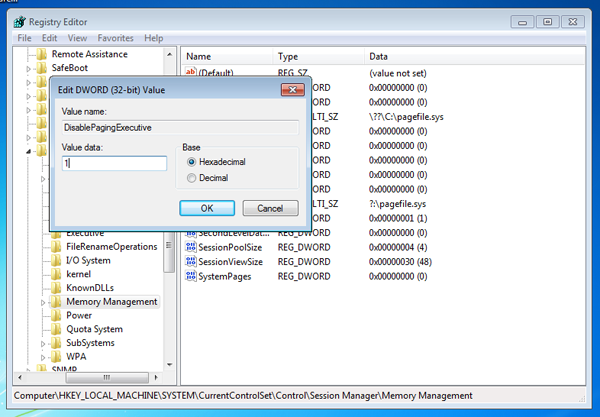 Browse to HKEY_LOCAL_MACHINE > SYSTEM > CurrentControlSet > Control > Session Manager > Memory Management, you will see DisablePagingExecutive key with 0 as its value. 3. Double click it, change to 1 and click OK. Close it and restart your Windows, done. 5. 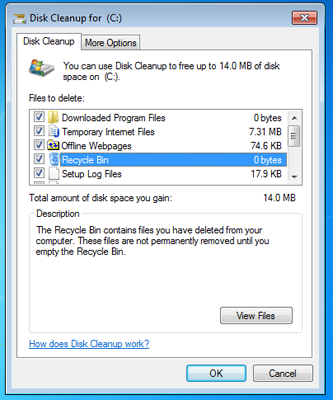 Optional : Cleanup junk files using Built-in Disk Cleanup. Instead of downloading third-party app to remove all those unnecessary files, i found built-in Disk Cleanup does the job good enough (except from cleaning up Registry). Not only you’d be able to get rid those junk files, but also Service Pack Installation and log/dump files. Tips : You might want to untick ‘compress old files’ on Windows XP. Another good third party app is Glary Utilities portable. 1. From Start > All Programs > Accessories > Disk Cleanup. 2. Let it settle down, and click ‘Clean up system files’ to enable deep system cleaning. 3. Tick all (except for Windows XP), and let it run. Done. 6. Optional : Turning off unused Windows features. Unless you bought your computer from manufacturer like Dell, your Windows won’t get clogged by so called value-added bloatwares. But still, you can turn off any features you don’t need especially Internet Explorer or Tablet support. This helps to keep your Windows at minimal setup eventhough it won’t free up any space on Windows drive. Of course, you can turn it back on just in case you need it later. Tips : I’d highly recommend Everything to replace Windows Search. Not only its fast and lightweight, it didn’t need Windows Indexing to work(so you can turn that off to reduce system workloads and wear on SSDs). Wanna remove those bloatwares from manufacturer? Use this app. 2. 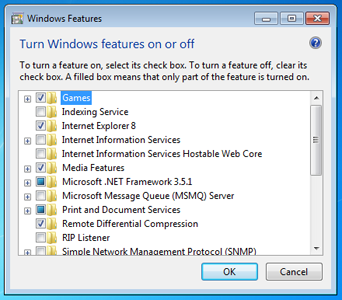 Click Turn Windows features on and off. 3. Untick everything you don’t need, click OK and restart. 7. Optional : Disable Prefetcher to increase SSD lifespan. Since SSD is fast enough, you don’t need Windows Prefetcher to do its job anymore. What Prefetcher does is minimizing disk head movement by monitoring what data is accessed during the boot process and recording a trace file of this activity. It makes booting process much faster and app launching more quicker on hard drives, but definitely useless on solid state drives. Since this process involves writing operations, it takes away those valuable write cycle on SSDs. Tips : Applying this tweak on HDDs will make your system runs slower. If you’re using hybrid drives, you might want to apply this tweak as well. 1. From Start Menu > Type regedit and you will see Registry Editor pops up on list, hit enter. Yes to run as Administrator. 2. 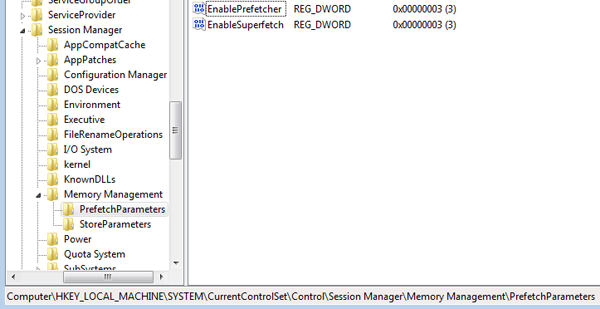 Browse to HKEY_LOCAL_MACHINE > SYSTEM > CurrentControlSet > Control > Session Manager > Memory Management > PrefetchParameters. 3. You will see both EnablePrefetcher and EnableSuperfetch keys with 3 as their value, double click and change them to 0. 4. Close it and restart your Windows. 8. Bonus : Automate apps updates with Filehippo.com Update Checker. After installing dozens of apps, sure it’s hard to keep those apps up-to-date with latest version. Save the hassle by using Filehippo.com Update Checker. 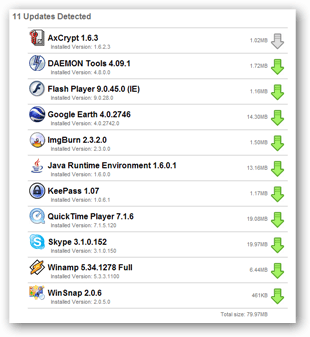 This little app works really great and it saves you time and hassle by checking every installed apps on your computer for latest version and downloads them on your behalf. That’s all for now. I hope these tweaks will help you as much as i do and thank you for reading.